← Pie is the New Cupcake? Traditional Lancashire Hot Pot is basically a lamb pie, topped with layers of potato instead of a pie crust…usually baked in one big dish and then served up to the family. Lancashire Hot Pot was apparently created by Lancashire cotton mill workers, but …also a firm favourite with shepherds and coal miners, who could wrap it up and bring it to work with them, and it’d stay warm. There is also a small story behind it being a way to test the eligibility of a young lady for marriage (quality of hotpot = quality of girl)! I bet Jackie makes a mean hotpot, as she is a high-quality person. She is also one of 24 finalists – and the only British contestant left in Food Buzz’s highly competitive Project Food Blog. You might like to read Jackie’s charming and hilarious entry in the competition and vote for her very clever and original creation: an azuki-and-coconut-filled pumpkin cake, with sassy choux mice. The leek and potato hotpot is easy enough to make. It is essentially sautéing leeks, boiling potatoes, and making a cheese sauce to envelop the stars of the show. Cheddar cheese is integral to this dish. Cheese is the element which turns the hotpot into comfort food. 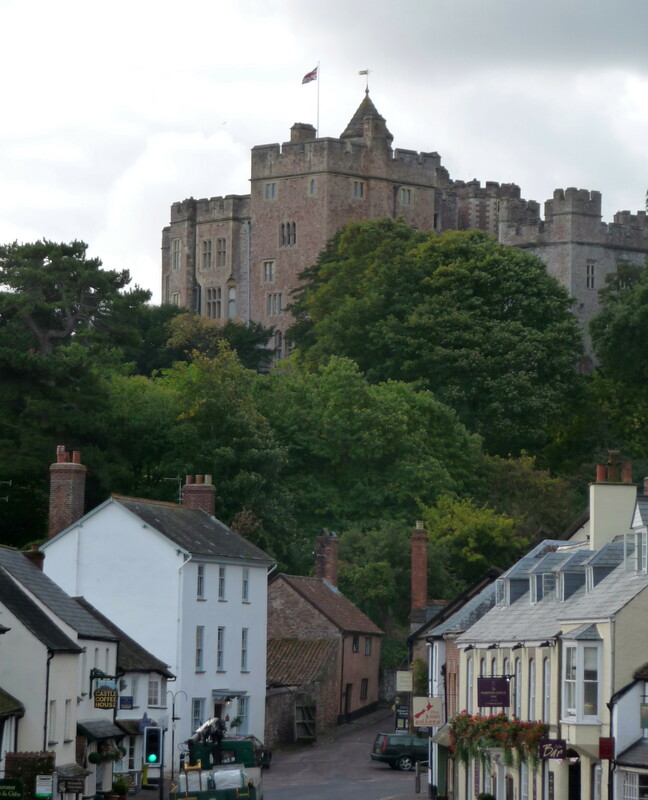 (During our visit to the UK, I insisted on stopping in downtown Cheddar, England, hoping to find Ye Olde Cheddar Cheese Shoppe. There was no such kitsch-y shop to satisfy me in Cheddar – nor any cheese store, for that matter, where I could have sampled various aged cheddars from various cheese-makers…harrumph). My hotpot variant was to add a bit of cayenne – you would be correct in thinking this is not a traditional Lancashire ingredient. The cheese sauce needed a bit of a kick, so I increased the mustard powder by 50%. I also had to add far more milk than the original recipe required. The original recipe also neglected salt and pepper entirely – an odd omission, I say! 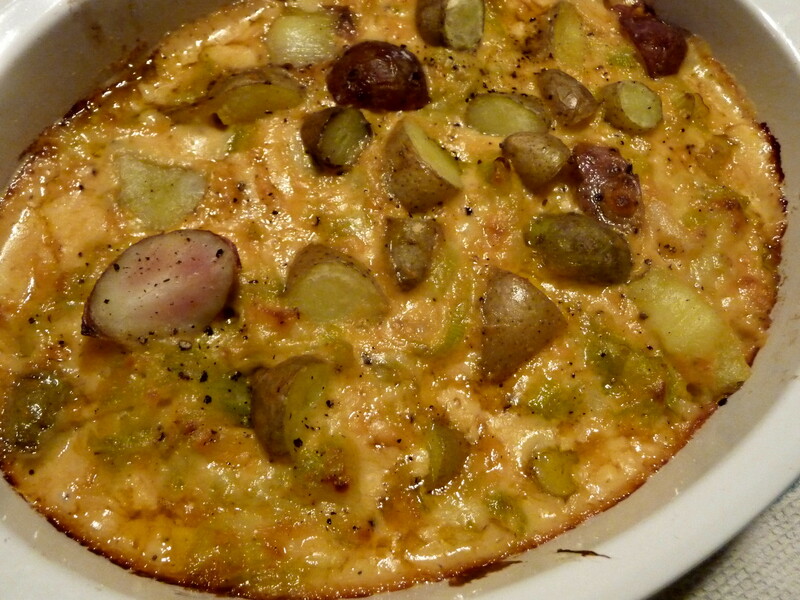 The hotpot is full of cheesy goodness, with chunks of potatoes contrasting the subtle chewiness of the leeks. It is a perfect dish for a cold, windy, rainy/snowy day – or any time you desire warm comforting food. The dish makes a great vegetarian main course or a rather rich side dish to a roast. It also would be a good brunch dish for winter, to accompany eggs or a basket of baked goods. 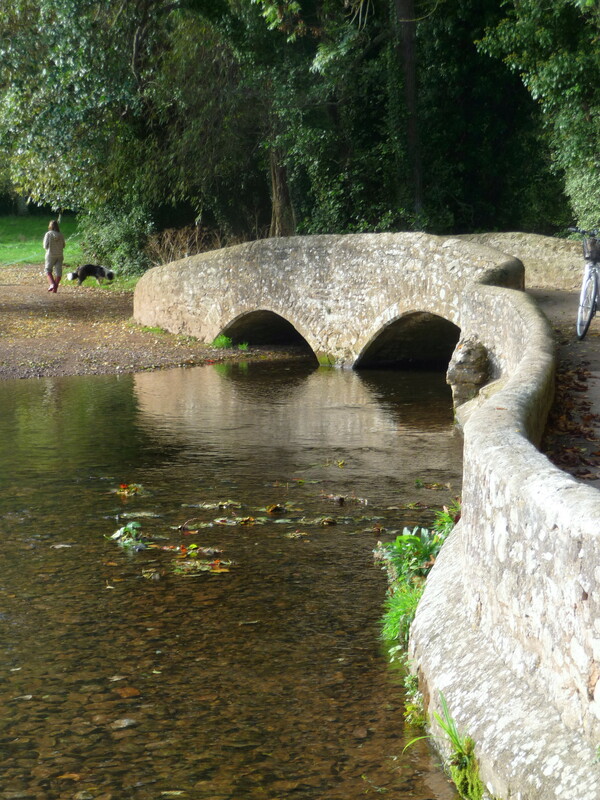 Give it a try and think of why there will always be an England. Preheat oven to 350, 160 C, or gas mark 3, if you are truly British. Take a leek (sorry, I had to stoop to adolescent humour), trim, slice into ¼” rounds, and wash thoroughly in a colander. 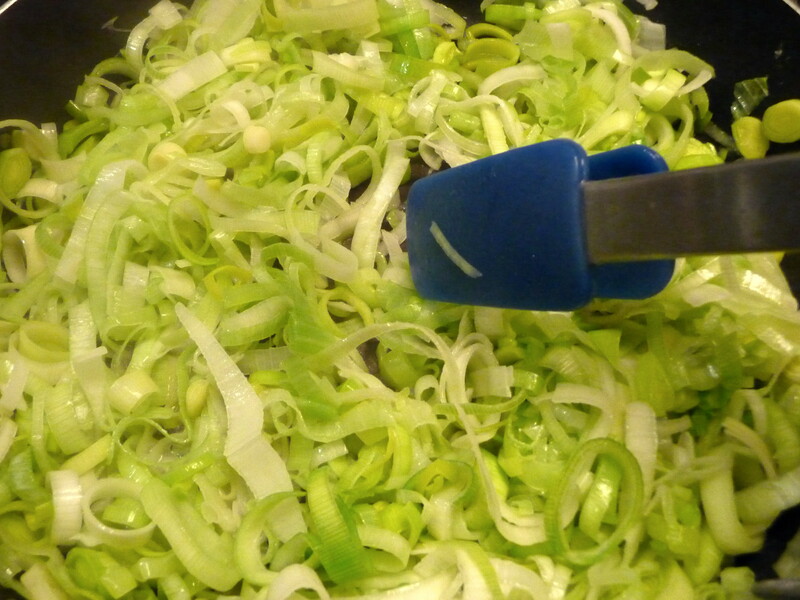 Saute leeks in a frying pan with the oil until soft but not mushy, over medium heat, adding ½ teaspoon salt. Make a roux for the cheese sauce by melting butter in sauce pan over medium heat until bubbly. Add flour and stir continuously for two minutes, increasing heat to medium-high. Add milk gradually, stirring constantly, until mixture boils. Take saucepan off of heat and add mustard, cayenne, and cheddar, stirring until fully melted. Taste and add fresh cracked black pepper, to your liking. Pour cheese sauce over leek layer, spreading with a spatula to cover evenly. Add remaining half of potatoes on top of cheese sauce. Bake for 20 minutes or so, until done – the top will golden brown. Broil, if you like, until the top is bubbly, for more of a crunchy crust. 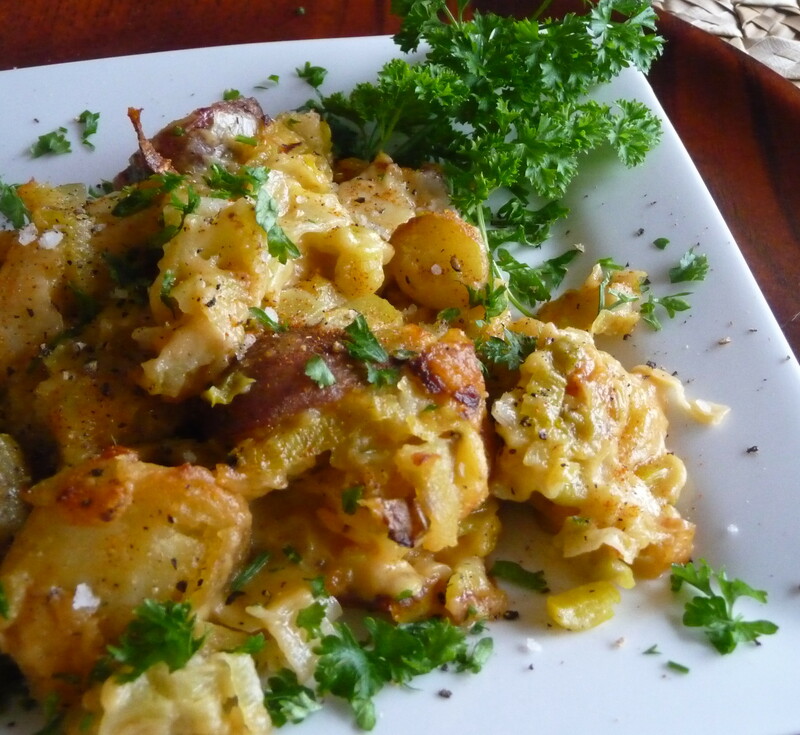 This entry was posted in Blogs and Food Writing, Brunch, Main courses, Recipes Misc, Sides, Vegetarian and tagged British, Brunch, Cheddar, Dinner, Leeks, Potatoes, vegetarian. Bookmark the permalink. Haven’t you heard of Betty’s hot pot on Coronation Street? I love reading your food lore and history, Dan! And I had never heard of Leak and Potato Hotpot. It looks absolutely fantastic. If I had some leeks and new potatoes, I’d make it tonight. Thanks for sharing! Thanks so much, Kath. The hotpot is perfect for this weather – I bet it’s getting nasty in Seattle, too! Thanks for stopping by, Big Boys! You must forgive me for being distracted at first…I saw “Lancashire” and immediately started humming the Beatles. This dish snapped me back to reality, though; looks like comfort food at its finest. Bookmarked! Hi, Maddie. I hadn’t even thought of the Beatles, though driving past Liverpool made me wonder what they’ve done for tourism there (and the lives of Liverpudlians today – I just wanted to use “Liverpudlian” which I rank with “Haligonian” as great monikers for city dwellers, the latter being the alternative to Halifaxers for those from Halifax…). 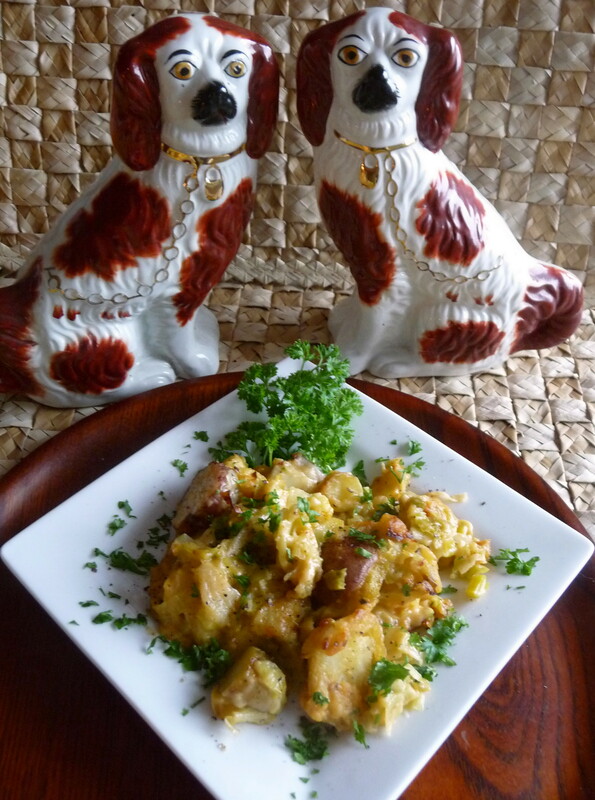 Do let me know how it turns out for you when you need comfort food, English style! Very interesting story about Hot Pot and so beautiful pics regarding England! Thanks, Gera. I’m glad you enjoyed this post. Lookit me being all fancy and knowing stuff about things, I even gets to be “KWO-TAY-BULL” 😉 I think your hot pot looks yummy, but then I am biased. It’s British. I’m British. I like carbs, leeks & cheese. Heaven in a hot pot! Thanks for the support, Dan, you’re too good to me. Jax, you are very fancy-schmancy – let’s not forget the “RP” accent (“royal posh,” I say! ), but not too good to enjoy a homely hotpot. As for being too good, I think I’m just good enough – you deserve more “shout-outs”. Good luck and stay warm…. I enjoyed this post because I have an interest in food lore and history myself. And like you, the only hot pot I knew were the Chinese kind as you described and the Japanese shabu-shabu that’s so popular over here. I know nothing about British cuisine other than how crappy it is but I don’t think that reputation is deserved because Dutch cuisine ought to be holding that title! It’s like they elevated blandness and stodginess to a fine art. I’d give this a try but it’s a bit too heavy and therefore, inappropriate for the climate here. Hi, KM. I give the Dutch credit for their chocolates (and cheese), however…. I can’t imagine having tried anything hotpot-ish when I was in Vanuatu. I get it! P.S. Is it true that Cebu Airlines has dancing flight attendants doing safety presentations??? Re: Cebu Airlines flight attendant – Yep. And it’s not just the flight attendants. There are also dancing traffic officers who direct the flow in the middle of a busy thoroughfare. Depending on my mood, it’s sometimes amusing or annoying. I should snap a photo one of these days. Thanks, KM. I think I’d be irritated or entertained, too, depending on the circumstances. Hi, Grant. Thanks very much for your comment and your visit to my site. I actually have been wondering about hotpots as I have read a few recipes on the blogosphere late. Thanks for feeding my curiosity. This dish sounds like the perfect comfort food on a cold night. Thanks, Geni. I’m always happy to feed your curiosity. I think this dish would be perfect for an LA cold-snap or just a cool-snap…. You had me at potatoes in a pot!! My mouth is watering!! Thanks, Jenny. I hope all is swell down in Sin Diego! Love the history and lore, and it is the perfect dish to make on this cold and damp SF day. I will just need to brave the weather for my leeks, but something tells me it will be worth it.